It starts gradually, and affects the knees, spine, hips and hands. In the initial stages there is none or very little swelling but as the malady advances the swelling increases. Rheumatoid arthritis is the result of an overactive immune system which starts attacking the cell lining inside the joint. The joints become very stiff and painful and movement becomes restricted. 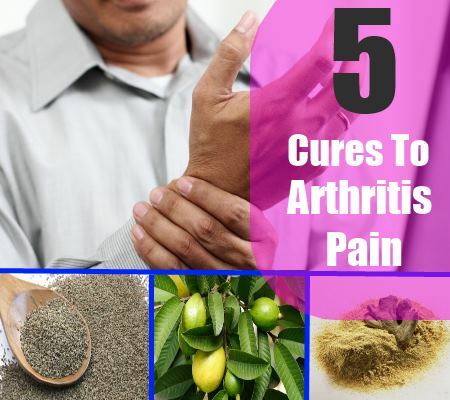 There are several home remedies which will mitigate the pain and severity of arthritis and minimize discomfort. Mustard oil a multi purpose oil is widely used in cooking as well as in treating a number of aliments and disorders. It has innumerable health giving qualities. It relieves swelling and pain and stimulates the blood circulation. Warm some mustard oil and put a few pieces of camphor in it. 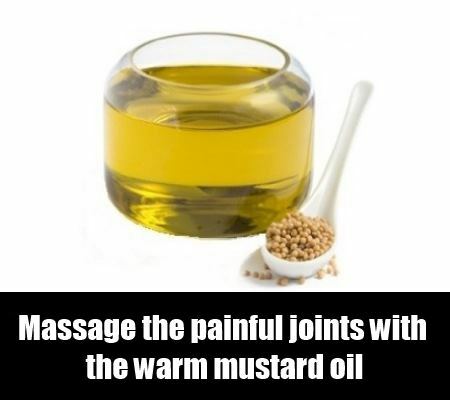 Massage the painful joints rubbing in the oil gently. Its heat producing properties will stimulate the blood flow to the joints and alleviate the pain and swelling. Dried ginger powder is anti-inflammatory, analgesic and enhances the blood circulation. Heat two teaspoons of pure ghee in a pan. When sufficiently hot, put off the flame and add one teaspoon of dried ginger powder to it. Roast the powder in the hot ghee for a couple of minutes. Add two teaspoons of powdered sugar and two teaspoons of chopped almonds. Eat this mixture while it is still warm, every morning before breakfast. The swelling will subside and the pain will diminish. Ajwain has concentrated amounts of thymol which is an essential oil full of medicinal values. It reduces swelling and stiffness in the joints. Grind to a fine powder some ajwain. Heat two teaspoons of pure ghee in a pan. Turn off the flame when the ghee becomes hot. 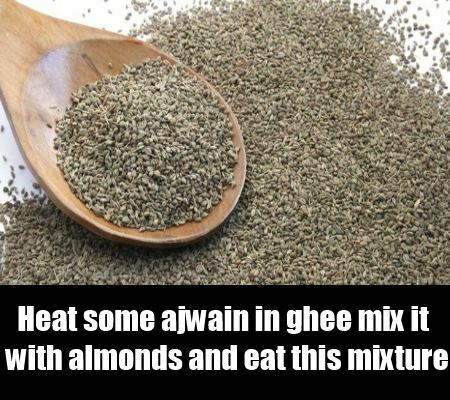 Add two teaspoons of ajwain powder and roast it in the ghee. Add two teaspoons of crushed almonds and powdered sugar. 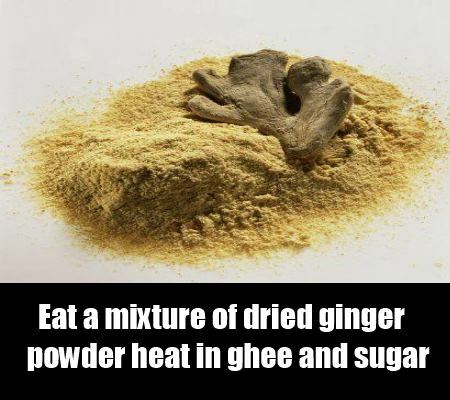 Eat this warm mixture twice a day. The ghee lubricates the joints and strengthens them. Almonds provide nourishment to the bones and ajwain helps in alleviating the stiffness and pain. 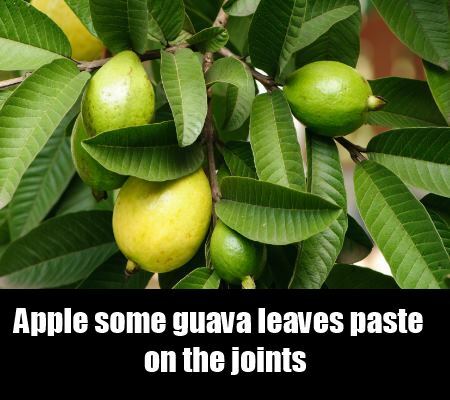 Guava leaves are rich in phenols and have pain relieving properties. Wash and clean some fresh guava leaves. Grind them to a fine paste and apply this paste to all the swollen joints. Place some clean leaves over the paste to hold it in place and bind with a thin strip of cloth. Apply this paste every day to relieve the discomforts of the inflamed joints. 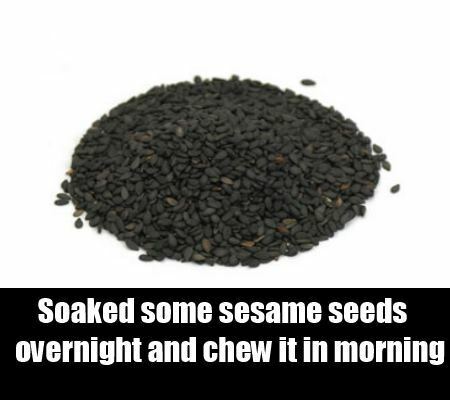 Black sesame seeds are of great medicinal use. They are rich in calcium and phosphorous which are imperative for bone building and bone health. Soak one tablespoon of black sesame seeds in half cup of water overnight. In the morning grind the seeds with the water in which they have been soaked and drink the mixture.